There have been more and more men who began to accessorize themselves with different kinds of jewelry, for example, leather bracelets, metal necklace, or even earrings. So it has been trendy and stylish for men to add accessories to their outfits, which is exactly the impressive way to go. So you are wondering how to pick the right earring as one of the men designer jewelry for yourself? There are several kinds of earrings, and you have been dazzled by those earrings. Okay, this post is going to show you which one is better for you. 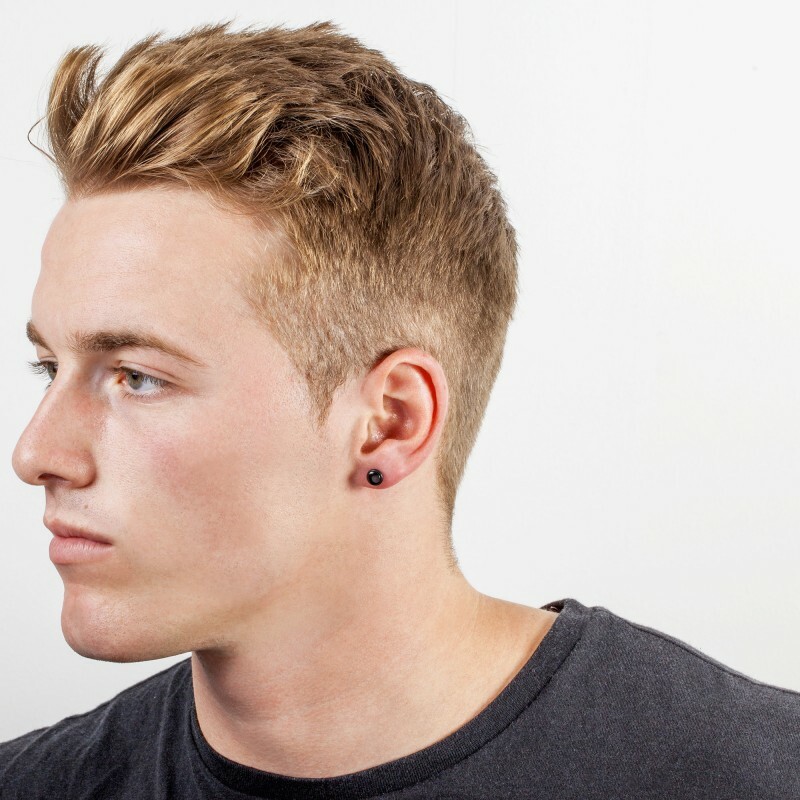 Stud earrings are adored by so many men as it suits different kinds of outfits, no matter the casual T-shirts or three-piece-suit. Needless to say, this one does look simple and stylish to style with anyway. You are totally new about the earrings, and you are eager to try those earrings on but a little bit scared about piercing. To solve this problem, the magnetic rounded ear clip is meant for you. 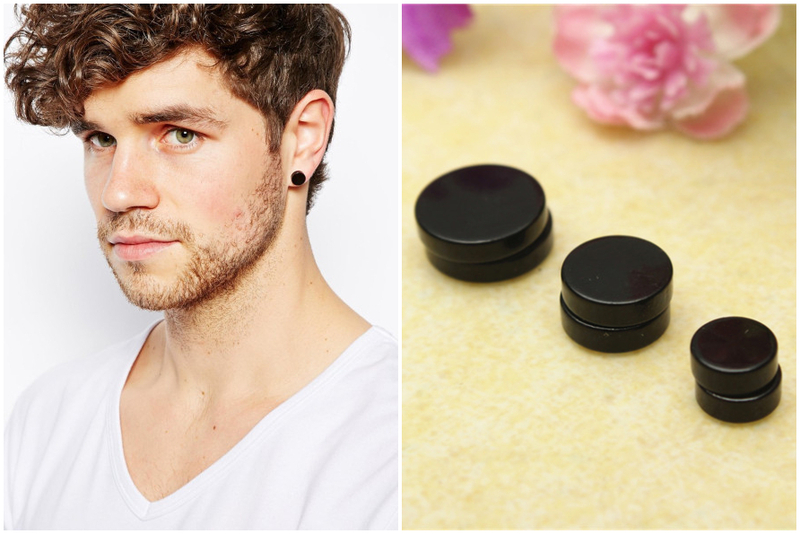 As wearing this magnetic ear clip, you don’t have to pierce your ear, and this one looks like the stud earrings. 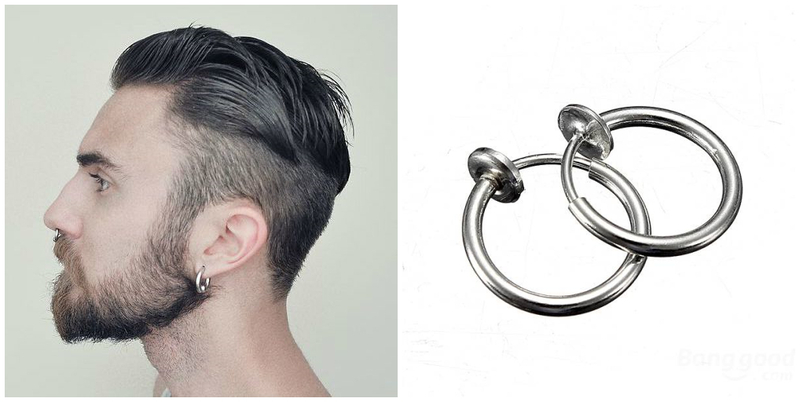 Another general kind of earrings for men will be the hoop earrings, which looks chunky and tough. 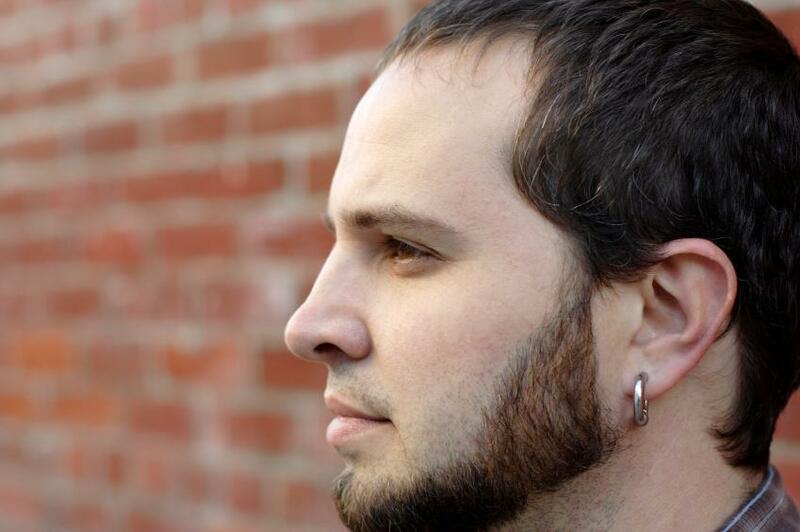 When it comes to hoop earrings for men, it looks like they are wearing rings on their ear, and most of the hoop earrings for men are black or silver. However, you could choose to wear only a hoop earring, while it seems to be the earlier trend. To draw attentions, you could stack couples of hoop earrings on one ear, which might make you a head turner somehow. Aside from choosing the type you need, there is one more question you should be aware of while wearing the earrings. If you insist to wear the earring only on one ear, you’d better wear it on your left ear, since the earring on right ear is a symbolic that shows you are a gay.